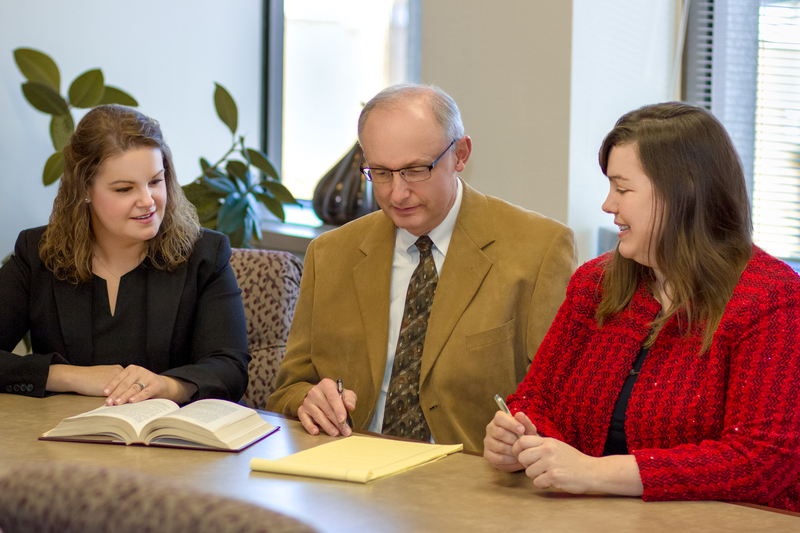 About | Averbeck, Hammer, & Slavin, S.C.
Our firm has been helping local residents with legal problems big and small for over 30 years from our offices in downtown Fond du Lac. Our areas of practice include personal injury, estate planning, probate, trust administration, real estate transactions, and business law matters. We can also help you with civil and appellate litigation of all sorts. Our attorneys have the experience and judgment to help you reach the best outcome. Our firm's co-founders, Charles Averbeck and Ron Hammer, each have over 35 years of legal experience. Additionally, Mr. Hammer is AV Preeminent peer review rated* through Martindale-Hubbell, the highest rating. Jessica Slavin, who joined the firm in 2015, has been licensed to practice law for over 15 years. Ms. Slavin previously taught at Marquette Law School and worked for both the Wisconsin Supreme Court and Wisconsin Court of Appeals. The newest attorney member of our firm, Megan Harried, has been in practice since 2011. Ms. Harried also taught Business Law at the University of Wisconsin-Oshkosh. Our attorneys are fortunate to have the help of experienced staff members. Our support staff are friendly and helpful, and bring decades of experience to their work. If you would like to learn more about our attorneys, please click on the links below.